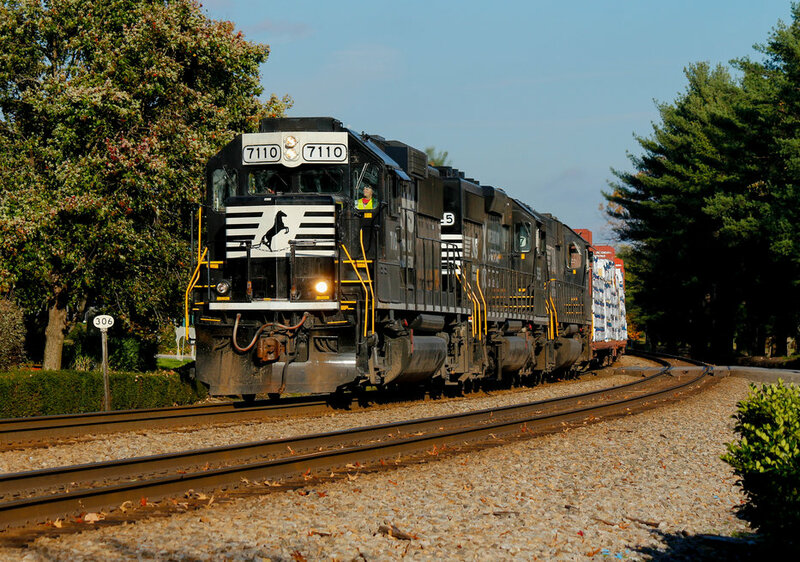 In the roughly twenty year period that I have watched trains along the Norfolk Southern Piedmont Division, there has been a diversity of motive power both inherit to NS, leasing companies, and foreign roads. 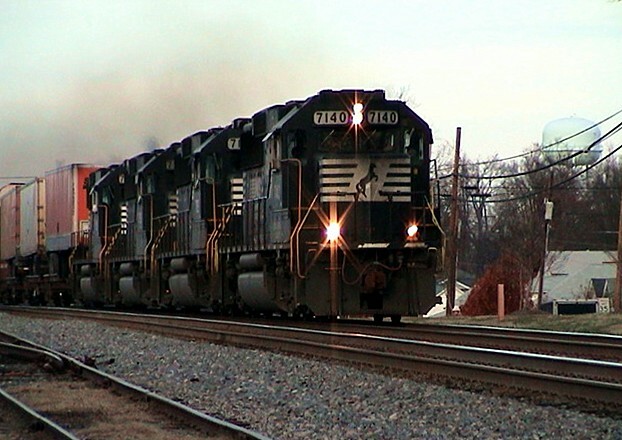 When most think of the power here, the high hood versions of the GP38-2, GP50, and SD40-2 typically come to mind because of their uniqueness. Nowadays, the Heritage Fleet probably tops the list along with the F units used on the NS Executive trains. The period that I spent the most time along NS was 2004-2007 and it was during this era that the road used as standard practice what could be considered as an anomaly in 21st century railroading---the use of four axle power in intermodal service. The signature locomotive of this set was the GP60 and it was common to see sets of them hustling pig trains along the eastern north-south corridor. Certainly other locomotives were also used whether EMD or GE but the GP60 was dedicated with few exceptions to this type of service. Intermodal trains were the highlight for me during this era because these GP60 sets were my favorite power consists on NS rails. Some of this no doubt was a result of a harkening back to my youth witnessing the GP30 through GP40-2 mixed sets used by the Chessie System. The GP60 was simultaneously a last and first of a kind. It was the final four axle locomotive built by an Electro Motive Division of General Motors that was in wane with General Electric superseding it as the premier locomotive builder. It was offered in either the Spartan cab design long associated with EMD or in a wide "safety" cab version such as the ones purchased by the Santa Fe. It was also built as a cabless “B” unit with the Santa Fe the only buyer of these as well. 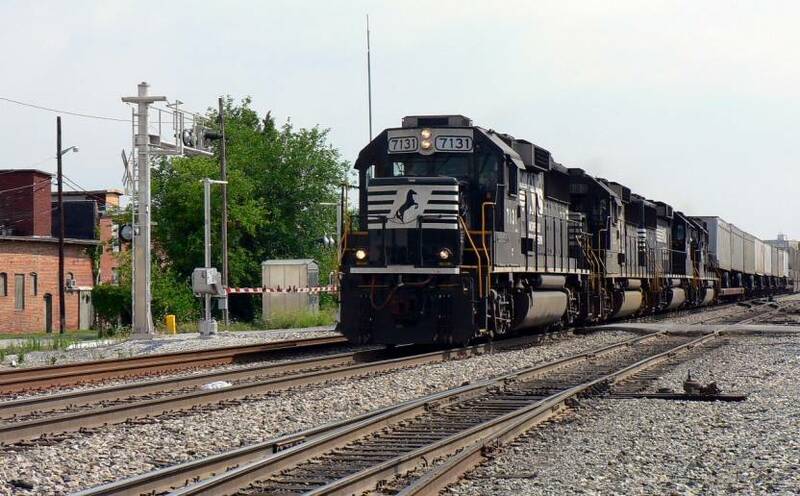 The GP60 was also a “first”----generally identified as a third generation model----as it incorporated new microprocessor circuits which replaced older circuitry in previous EMD models. By the mid-1990s, the railroad industry was exclusively transitioning to six axle power with new orders deeming it more utilitarian for the future needs and by the early 21st century, this practice emerged full force. In spite of the shift to six axles, fleets of older four axle power populated the rosters that would still fulfill secondary uses. 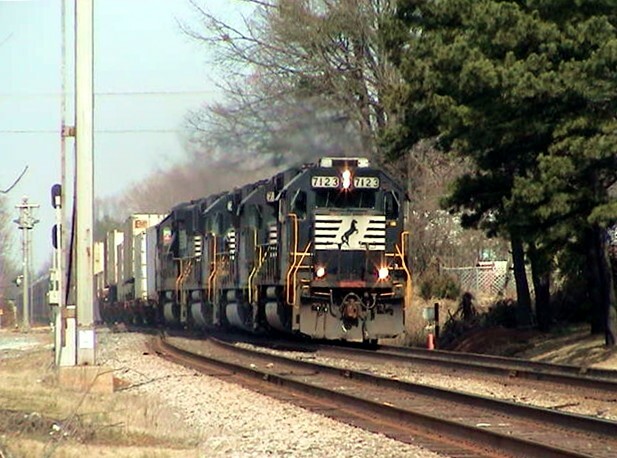 The year 2007 was when the winds of change blew in pertaining to the GP60 in intermodal service. 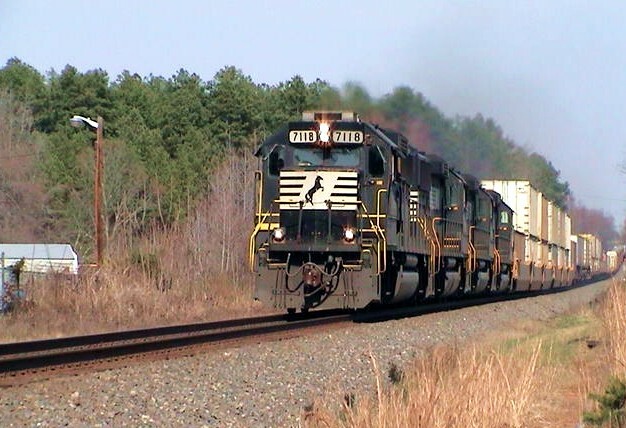 NS began using the GE four axle B32-8s in intermodal service that were either mixed with GP60s or occasionally, in solid sets themselves. This was short lived, however, and soon the big six axle GEs took over as the predominant power with a sprinkling of six axle EMD power used as well. 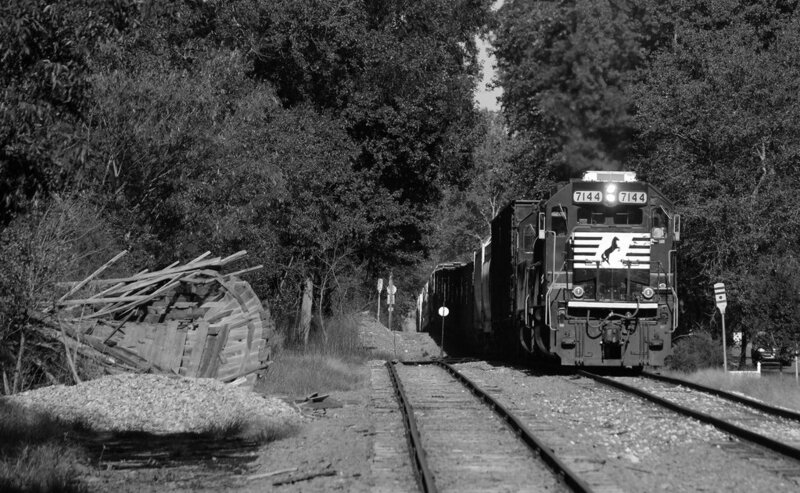 The GP60s are still out there serving in a hodgepodge of duties whether it be on locals, yard jobs, or secondary trains. The glory days of priority intermodal service are behind it now which in itself is a sad irony since that is the service it was primarily intended for. 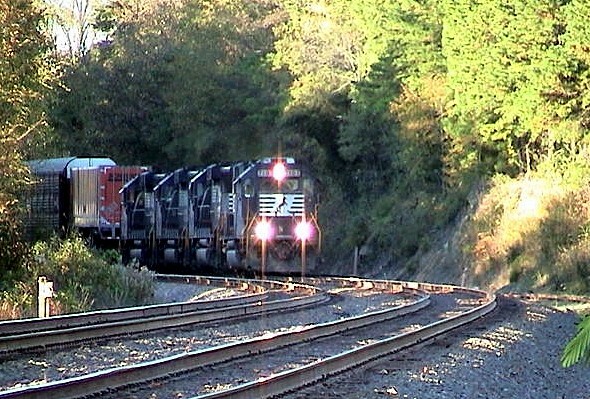 GP60 #7107 leads NS 213 around a curve at Concord. Just ahead of the train are the signals and crossovers at control point (CP) Adams. Dan Robie 2004. 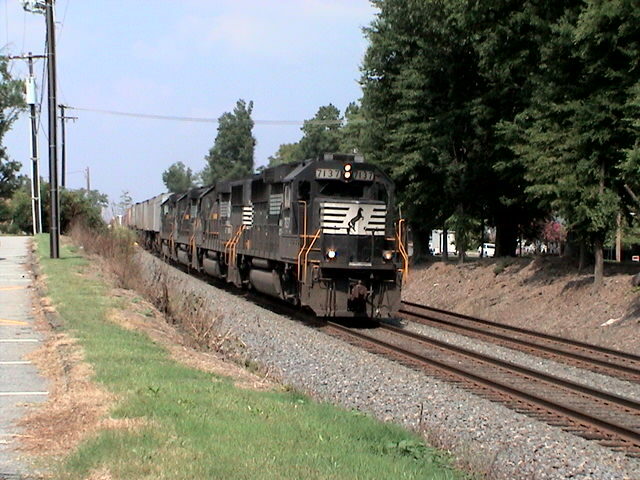 The Norfolk Southern took delivery of fifty GP60s in 1991 with the number series originally #7101-7150. 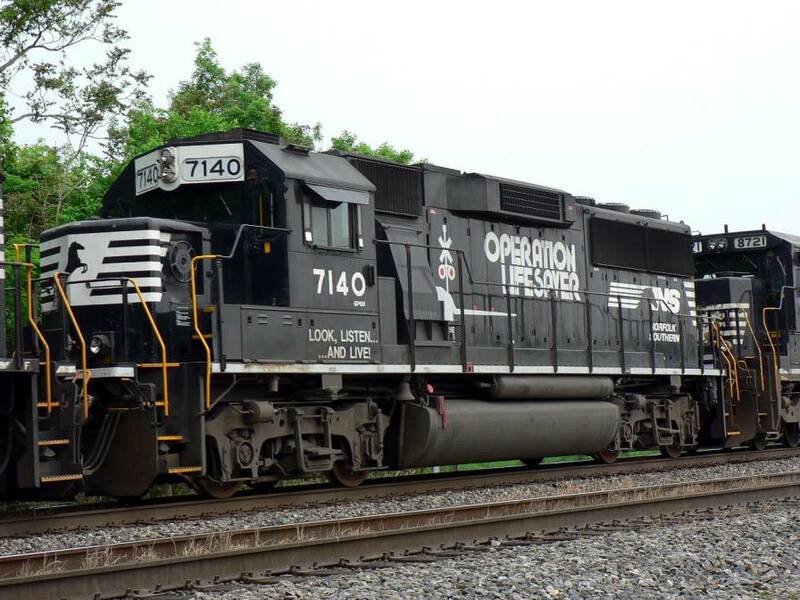 The #7117 was involved in an accident resulting in the death of a crewman and the number on this unit was changed to #7100 in 1998 thereby becoming the new class unit by tragic default. As of 2013, two have been officially retired--#7111 and #7136. 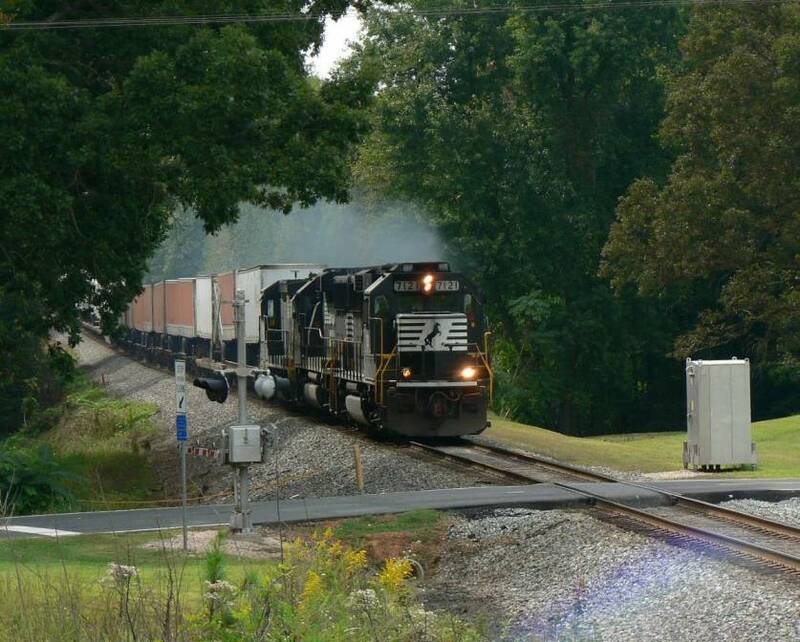 As railfans, what may be good for the goose is not necessarily good for the gander. We might like seeing certain locomotive consists or a particular leader but rail crews may look at that preference in an entirely different light since they are the ones operating them. I've made it a point to speak with engineers when possible to obtain their candid feedback about a particular locomotive. Of course, even they will have variances of opinion among themselves. Speaking with NS engineers about the GP60, the comments were mostly favorable. They load and accelerate quickly in addition to good pulling characteristics. The overwhelming negative that all shared is that it is a noisy locomotive. 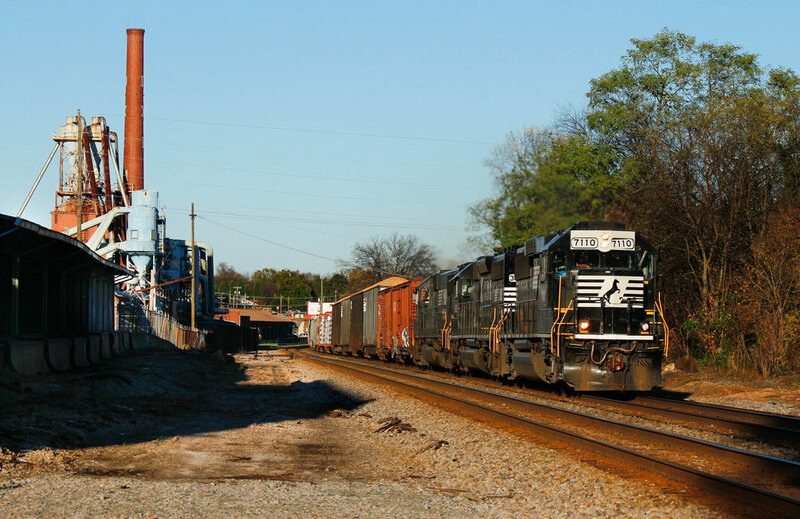 During the past several years, the presence of the GP60 has been sparse on the Charlotte District. 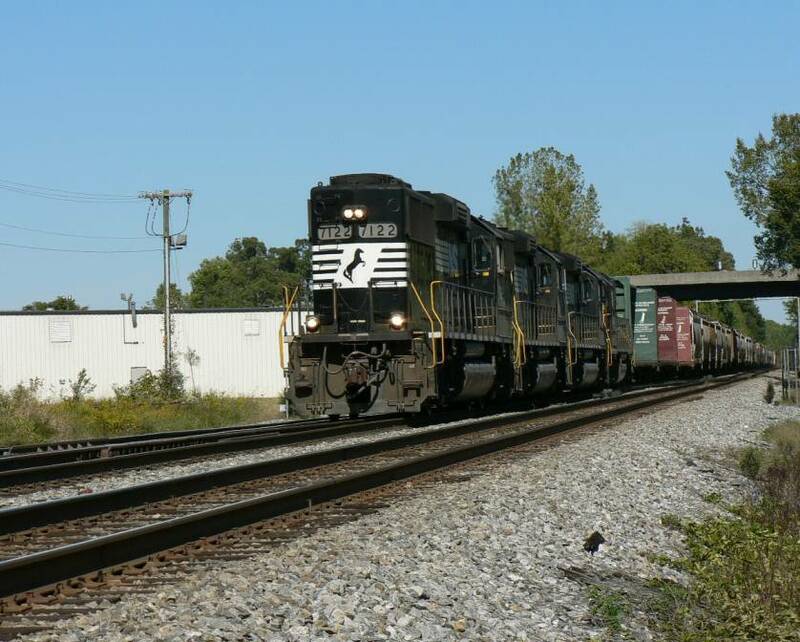 Local power is typically represented by the GP38-2 and SD40-2 on most trains although on rare occasions, a GP60 will migrate onto the district and receive assignment on a local. It has been several years since I last photographed one but my son has had the good fortune to catch them at varying intervals. A few of his photos appear below.